Add valuable storage space to your Regency work table with this Regency adjustable stainless steel work table undershelf! 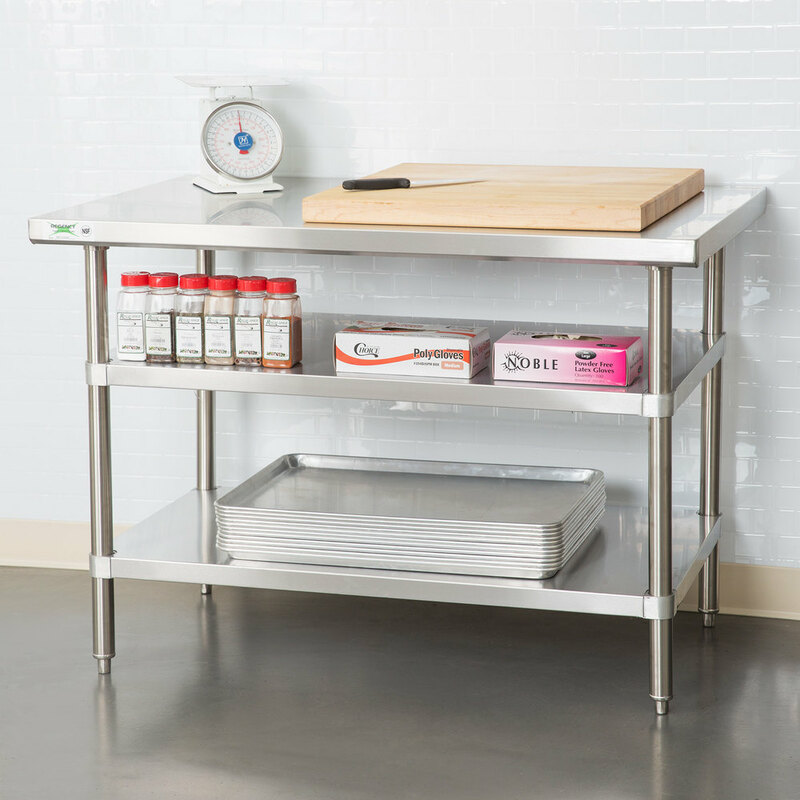 This undershelf will work with 30" x 48" tables to provide an extra shelf for storing items like frequently used prep tools, cutting boards, bar towels, oven mitts, pans, trays, and more! Since this shelf is adjustable, you can move it higher or lower to accommodate larger items like some types of light equipment or large mixing bowls. 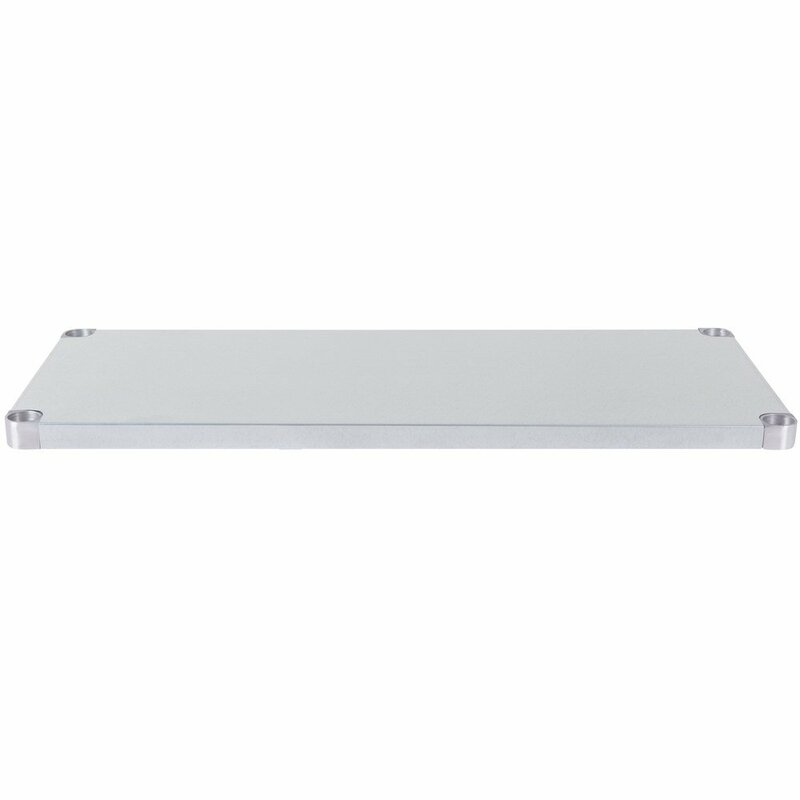 This work table undershelf is made of 18 gauge, type 430 stainless steel to ensure durability and corrosion resistance. 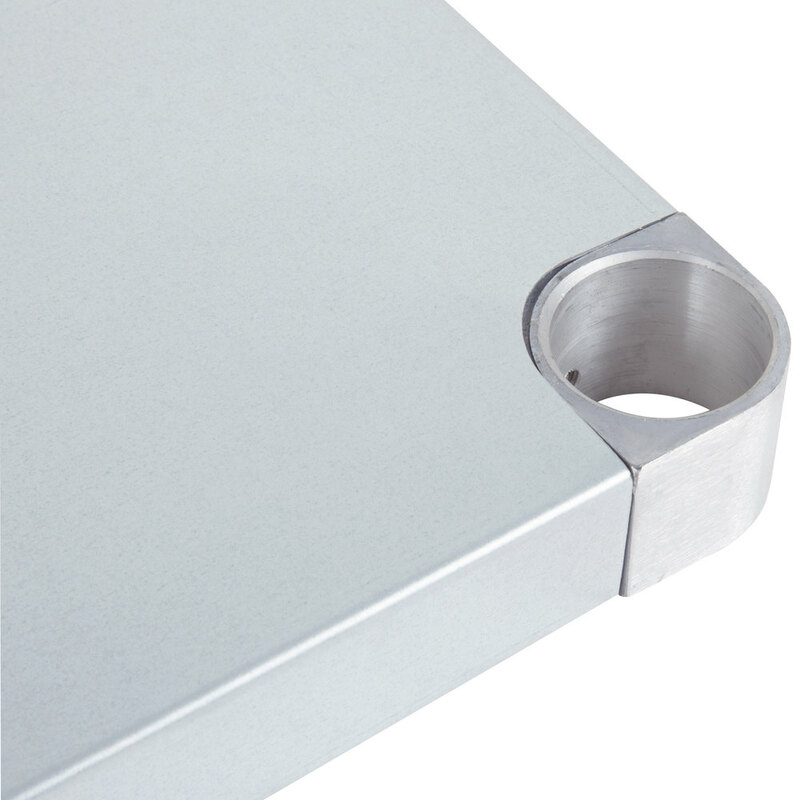 Stainless steel is a great choice for food prep areas since it is easy to clean and sanitize, plus it provides a sleek, professional appearance that will fit right in to your commercial kitchen. 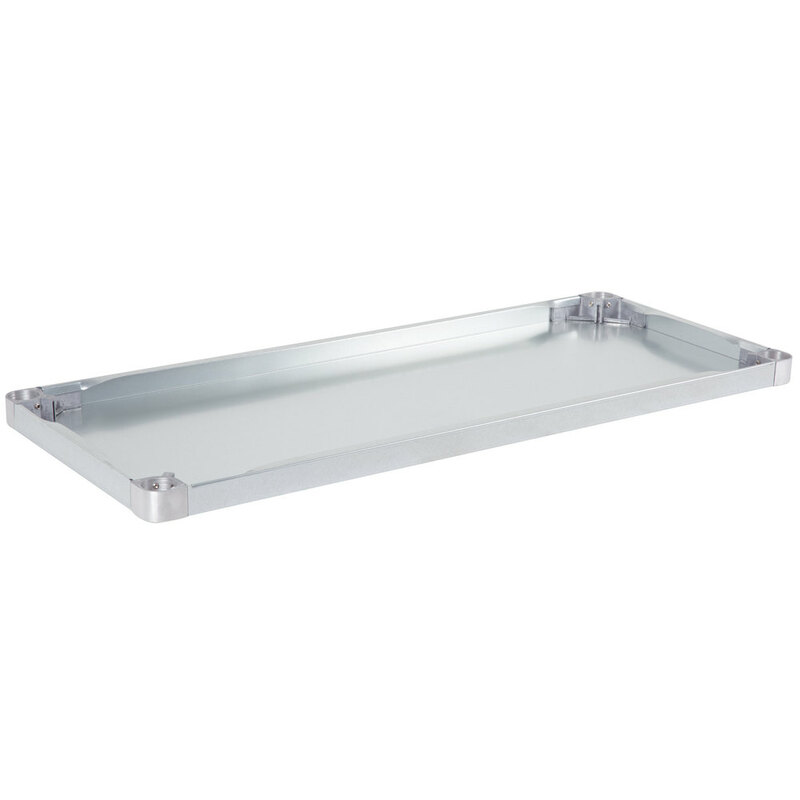 Accessorize your work table with this undershelf to ensure a stable, sanitary storage area for commonly used items that you want to keep within arms' reach. This undershelf is designed to fit 30" x 48" Regency work tables. Its actual dimensions are 6" shorter than the table in length and width because the table legs are set in under the table top.